I grew up in NYC. Pizza to me is a comfort food and something that is more than just something to eat. It is not a fancy food. It is a delicate balance of crust, sauce, and cheese. Without this foundation in place, you can't make great pizza. Many places pile on ingredients and toppings that tend to confuse the palate -- we do not do that. If you've never been here before, let me offer this suggestion – Try a plain slice (just cheese). It will allow you to taste all the flavors in balance. Then, once you know how the base pie tastes, feel free to add items. We offer combination pies and slices, and we can always make something custom for you. Strombolis and calzones are made to order. We also have garlic knots. Our cannoli, tiramisu, NY Cheesecake, and Brooklyn Blackout Cake come all the way from Wyandanch, Long Island. We use only the best ingredients. Period. In NY, if your service or food quality is less than exceptional, you'll be out of business in six months. We live by that standard here at A Slice of New York. The biggest thank you goes to my neighborhood pizza joint in Manhattan, Ultimate Pizza (now closed and has reopened a couple doors down under the name Bella Roma Pizzeria). I grew up with these guys. 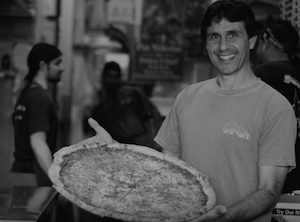 Without them, A Slice of New York never would have happened. They opened up their kitchen, their crew, and their kindness to me so that we could make all this happen. All they wanted in return is for me to be successful...true selfless NYC attitude. Next time you are in my old neighborhood (57th and 1st), ask for Benny and tell him Kirk says “hi.” You’ll love his pizza. 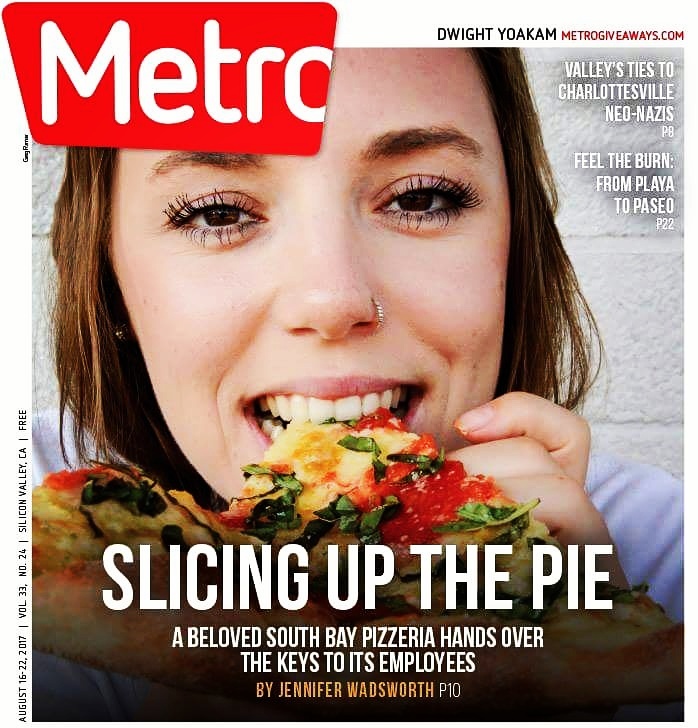 A special thank you to Tony Gemignani of San Francisco's Tony's Pizza Napoletana, The International School of Pizza, and many other outstanding pizza experiences in CA and in Las Vegas. As an expert in the business and now a friend, we thank you. How about that four minute dough mix!!! If you liked our place, had a great experience that you would like to share, would like to recognize one of the amazing crew members, ever feel you have not been treated well, or you feel the food is anything but awesome, please email us. Kris Rodriguez, a film masters student at SJSU, did a brief two minute video documentary of this journey. Thanks Kris!